Doug M. from British Columbia, Canada contacted us to make a custom cover for his travel trailer. "Thanks you all so much for such great service. Great people to deal with. Special thanks to Monty who bore with me through my long 'contemplation' process. Please see enclosed a picture of the 'bare' 13ft. fiberglass trailer and then the same trailer with the California Car Cover installed." Thank you, Doug, for the kind words and glad we can help protect your trailer from the elements. 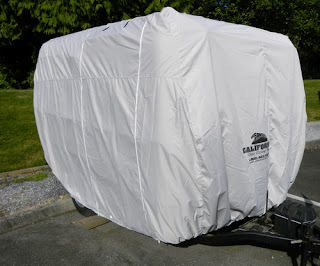 We can cover just about anything at California Car Cover. 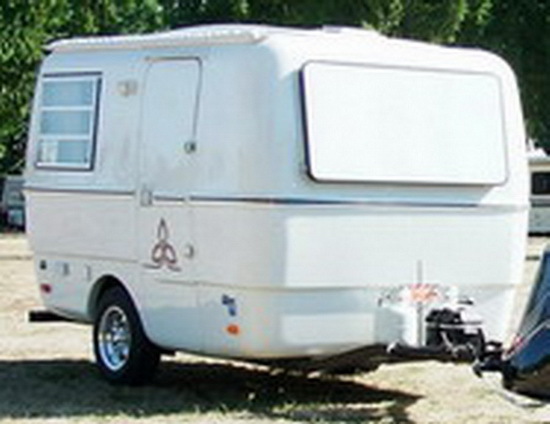 Whether it is a new car, street rod, or travel trailer, give us a call and we will get you covered.